You’ve arrived at a multi-touch model that works for your organization. Now what? 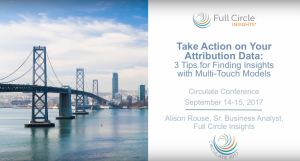 What does attribution data really tell you about all your touchpoints and their revenue contribution? How do you probe beyond the basics to truly understand what channels in which to invest more (or less)? 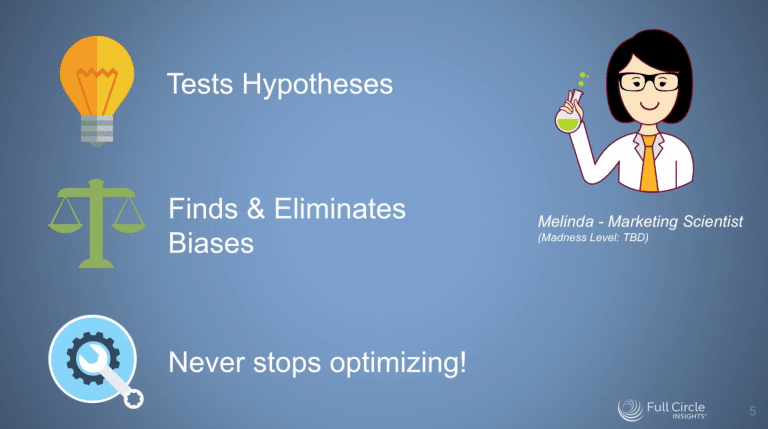 Join us as we use Campaign Attribution data to finally test your burning marketing hypotheses and optimize your campaign mix. Presentation by Alison Rouse, Sr. Business Analyst, Full Circle Insights at Circulate 2017. 3 Tips for Finding Insights with Multi-Touch Models.